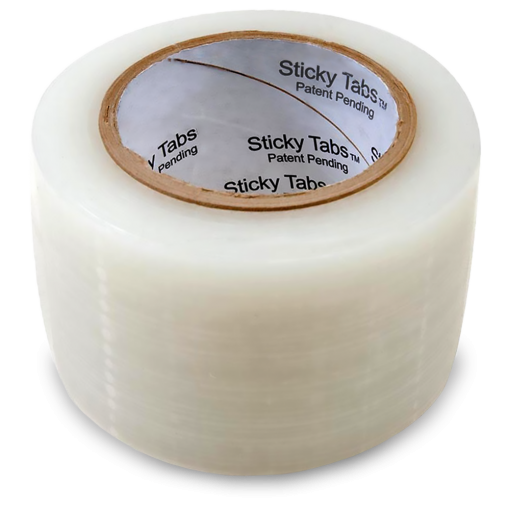 Sticky Tabs™ are adhesive backed plastic furniture tabs for carpet cleaners. Sticky so they stay put while you slide the furniture around. Simply tear off a perforated tab from the 100 foot roll and place them sticky side up under furniture legs and slide the furniture across the carpet. Makes pre-spraying a breeze. Available in two sizes (in inches): Standard 3×3.5 and Large 4×4.